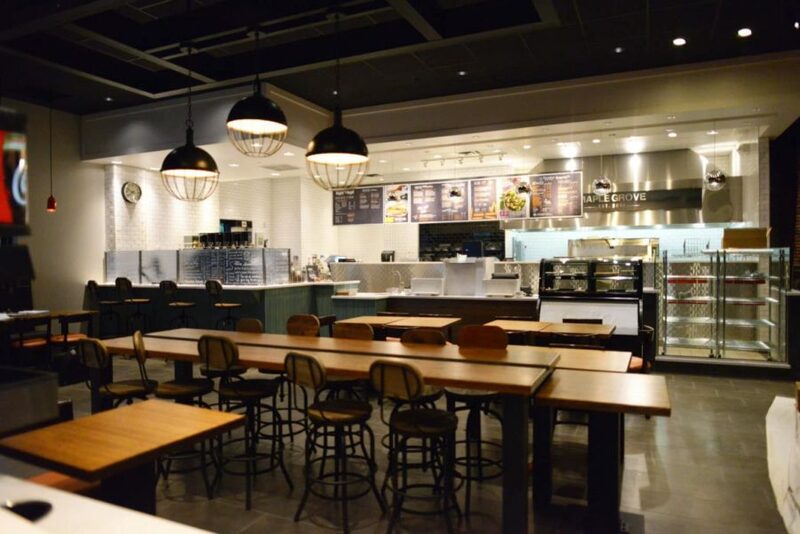 Through an existing business relationship, SullivanDay was selected to complete a new 2,125-square-foot space for a Bruegger’s Bagel franchisee in 2013. The SullivanDay team worked with the franchisee as well as Bruegger’s corporate, which was in transition between old and new restaurant brand concepts. Although many of the materials and equipment were new to the construction team, we were able to create a game plan to successfully execute the concept. We blended approved corporate identity with the unique touches preferred by the franchisee. The franchisee was so pleased with the construction process, our collaboration with his vision and our communication approach with the corporate team that we were selected to build a second Bruegger’s location in Maple Grove.